Nathan Lyon and Josh Hazlewood took two wickets apiece to leave India staring down the barrel at the end of Day 4 of the second test at Perth. The visitors finished at 112/5 with all their key batsmen, including skipper Virat Kohli, vice captain Ajinkya Rahane and Adelaide centurion Cheteshwar Pujara back in the pavillion. Resuming at 132/4, Australia’s overnight pair of Usman Khawaja and Time Paine batted cautiously and added 57 runs in the opening session. India’s bowlers were disciplined and didn’t allow the hosts to get away, but had no wickets to show for their efforts. 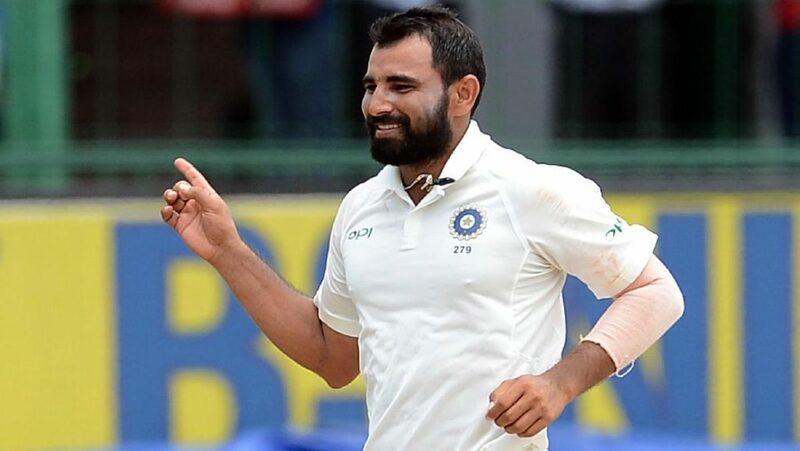 Post lunch, “second innings Shami” came to the fore, with the Moradabad pacer wrecking the Australian middle and lower order. He first felled Tim Paine with an absolute snorter and then had the returning Aaron Finch caught down the leg side to leave the home side at 192/6. 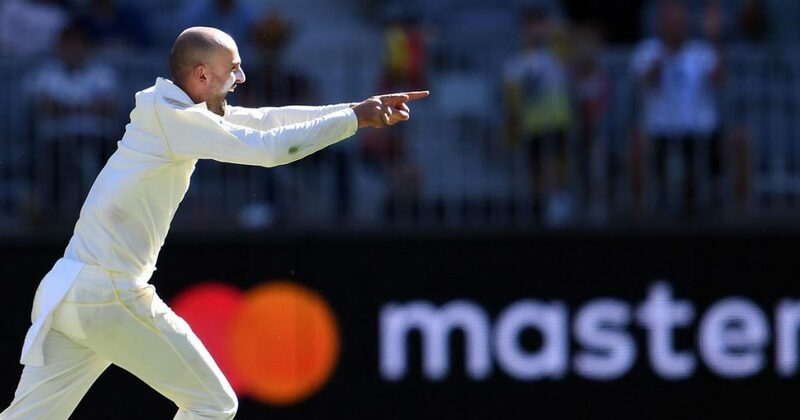 Shami also accounted for Usman Khawaja, who scored a fighting 72 as well as Nathan Lyon, who had remained undismissed in this series until there. The last wicket partnership between Starc and Hazlewood frustrated the Indian bowlers as they added 36 valuable runs to take the home side to 243, giving India 287 to chase on a tricky wicket. Shami was India’s best bowler as he finished with figures of 6/56, while Bumrah picked up 3 wickets. India started disastrously in their chase as the out of form Lokesh Rahul was bowled by Starc for a duck on the fourth ball of the inings. Cheteshwar Pujara, who had scored a century in the first test at Adelaide and a gritty 26 in the first innings of the second test, was dismissed by a brilliant delivery from Hazlewood for only 4, leaving India in trouble at 13 for 2. Murali Vijay and skipper Virat Kohli then attempted to steady the ship as they added 35 for the third wicket, before Lyon struck a double blow. The off spinner first had Kohli caught at slip by Khawaja and then bowled Vijay as India sunk to 55/4. Vijay, who like Rahul, had also failed to get going in this series, batted cautiously for 20 runs before chopping on. Ajinkya Rahane along with Hanuma Vihari batted sensibly by adding 43 runs for the fifth wicket before the vice captain slashed a wide Hazlewood ball straight to Travis Head at point. Vihari and wicket keeper Rishabh Pant saw the day through without any further alarms, as India finished Day 4 at 112/5 at stumps, leaving an improbable 175 runs for a victory. Stumps on Day 4- Australia second innings 243 all out- Usman Khawaja 72, Time Paine 37 ( Mohammed Shami 6/56, Jasprit Bumrah 3/39).